I forgot to post last week that we have enrolled Miss H in a real gymnastics class. We figured with all her energy– and her love for standing on her head– that it would be a good thing to do. She had her first class recently and it was so fun! 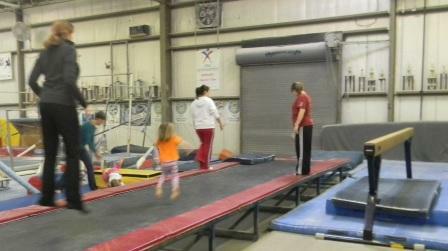 It is a real gymnastics training facility and they are strict! But, it is a good thing. Standing in line, waiting your turn and following instructions are all very important. The first few minutes were a little overwhelming with all the cool equipment but she responded really well to the instructor. 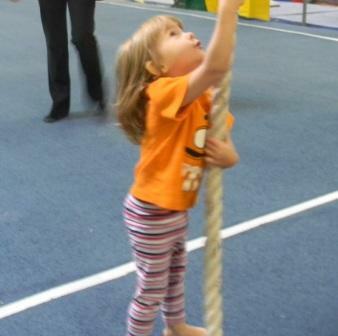 Plus, she got to climb a rope, jump on a huge trampoline, swing into a foam pit and walk on the balance beam. ← Thank you to all the Veterans today!